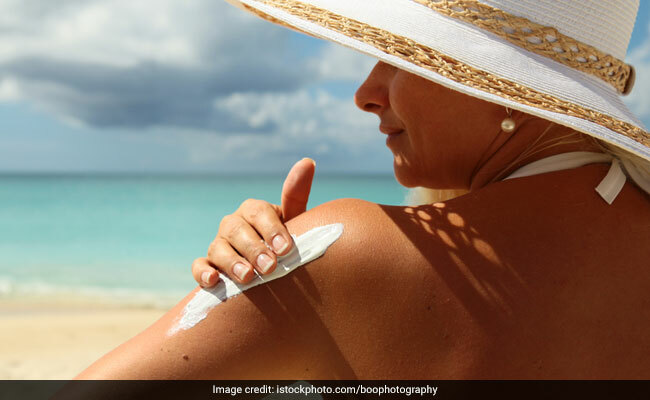 U.S. sunscreens protect against the type of ultraviolet rays that cause sunburn, known as UVB, but most aren't as good at blocking UVA: Dermatologist. Dermatologist Steve Wang treats skin-cancer patients all day at a Sloan Kettering hospital in New Jersey, so he knows better than most that U.S. sunscreens aren't up to the job. The oily stuff Americans are slathering on before heading to the beach this summer probably won't give them as much protection as the products sold in other countries. Europe, Japan, Australia, Canada: All have sunscreens that do a better job shielding against cancer-causing skin damage, and feel better on the skin, too. Meanwhile, stricter approval standards in the U.S. have brought innovation to a standstill and limited options to defend against the sun's harmful ultraviolet radiation. That means Americans don't have access to more-effective filters developed by chemicals makers such as BASF and cosmetics companies like L'Oreal, which have been widely used for years in sunscreens outside the U.S.
"I don't know why this is being held up," said Wang, who has researched and published his findings on the inferiority of U.S. versions. "If you had a better sunscreen, perhaps more people would want to use it." And that would "theoretically prevent more skin cancers," he said. Women with a history of fertility problems appear to run the risk of developing certain cancers. The $1.2 billion sunscreen industry has turned to Congress for help in clearing the way for better sunscreens. Pending legislation aimed at speeding approvals took on even more urgency this month when Hawaiian lawmakers voted to ban two of the ingredients most relied on in the U.S. because the chemicals may harm coral reefs. "With Hawaii, we are going in the wrong direction," said Michael Kaplan, president of the Melanoma Research Alliance. "It's a real concern from my perspective, because over 9,000 people die every year from melanoma." U.S. sunscreens protect against the type of ultraviolet rays that cause sunburn, known as UVB, but most aren't as good at blocking UVA, said Wang, director of dermatology at Memorial Sloan Kettering Basking Ridge. UVA penetrates deeper into the skin and can accelerate aging and cause genetic changes that lead to cancer. Many European sunscreen formulas contain filters that provide better protection against UVA while also protecting against UVB. And they're less oily, which make them more appealing to use, said Parand Salmassinia, a vice president at Dutch cosmetics company DSM Personal Care. Wang in a study last year found that nearly half of U.S. sunscreens he tested didn't offer enough UVA protection to meet European Union standards. The situation won't improve until the FDA approves modern ingredients with better protection, he said. One in five people will develop skin cancer in their lifetime, including 2.3 percent of Americans who will be diagnosed with melanoma, the most deadly form of the disease. The incidence of melanoma has doubled since 1985, according to the National Cancer Institute. Oxybenzone and zinc oxide -- the white stuff -- are the only two UVA filters broadly permitted in the U.S. DSM sees the Hawaii ban, which would apply to oxybenzone, as boosting its plans to seek approval from the Food and Drug Administration this year for its sunscreen alternatives. Its Parsol Max and Parsol Shield have been available in Europe for years and provide protection against both UVA and UVB. No new sunscreen filters have been approved in the U.S. since the late 1990s, mainly because they're regulated as over-the-counter medicines, which have stricter standards than cosmetics. The European Union and most other countries treat sunscreens as cosmetics. The industry first turned to Congress in 2014 for help in forcing the FDA to make a decision on long-pending applications. The agency responded by rejecting all eight new ingredients and asking for more testing data to prove the chemicals are safe when absorbed by the skin. Two that are still under FDA review, BASF's Tinosorb and L'Oreal's Mexoryl, offer the most promise for improved UVA protection and low toxicity, said David Andrews, a senior scientist at the Environmental Working Group, which publishes an annual Guide to Sunscreens. In an example of how confusing FDA requirements can be, L'Oreal in 2006 won narrow approval for a handful of specifically formulated and packaged sunscreens containing Mexoryl, sold in the U.S. under the brand name Anthelios. But the agency's over-the-counter drug program denied permission to use the ingredient more broadly. A company spokesman declined to say whether L'Oreal will continue with its application. The testing required for U.S. approval is too time-consuming and expensive for many companies to justify. In addition, some of the ingredients under review have been around so long they've lost patent protection, taking away a key financial incentive. Reviews are still stalled because none of the manufacturers has submitted additional safety and efficacy data, said FDA spokeswoman Sandy Walsh. That's because ingredient makers are negotiating with the FDA over some of the study requirements, said Joel Roberson, a partner at Holland & Knight, which leads a lobbying coalition called Public Access to Sunscreens. One particular sticking point has been a complicated new test to determine skin absorption -- a requirement that doesn't apply to products already on the market, Roberson said. The FDA issued draft guidance this week on how companies can evaluate absorption characteristics. 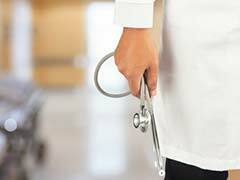 "We are particularly interested in learning how these products affect vulnerable populations such as children, the elderly, and pregnant and breastfeeding women," Theresa Michele, director of non-prescription drug products at the FDA's Center for Drug Evaluation and Research, said on the agency's website. Some dermatologists see the FDA's cautious approach as reasonable, particularly with sunscreens that are "slathered all over babies," said Sancy Leachman, chair of the Dermatology Department at Oregon Health & Science University. Sen. Johnny Isakson is spearheading the new push in Congress with a bill to make reviews easier. "The process is antiquated," the Georgia Republican said when he introduced the bill for a successful committee vote last month. Sunscreen, he said, is "the best example" of over-the-counter regulatory failings.